It looks like everyone has an idea of what might appear during the WWDC 2013 keynote address on Monday June 10, 2013. When it comes to YouTube this ranges from people in their bedroom to extremely popular technology blogs, and it seems that even the knowledgably Apple fan is receiving welcomed feedback on the video sharing website when their predictions are in-line with what the majority expect. WWDC 2013 announcement rumors dissected before June 10 — below this article we have embedded some of the best videos from YouTube, which look at what might be revealed during Apple’s keynote. We have seen the banners appear with a big number “7”, and this obviously highlights the expected iOS 7 preview, but what else will we see tomorrow? The first video was uploaded to YouTube just over 24 hours ago, and takes a quick look at the most popular WWDC 2013 rumors in just over 2 minutes. This video has been liked 234 times with just 4 dislikes, so you can count on it being on the money in terms of what the majority of people think. In the second video you’ll see a popular tech blogs deliver 5 predictions for Apple’s WWDC 2013, and while they note the event has always been about software it shouldn’t mean no hardware will be announced. The third video is interesting considering it looks at an iOS 7 sneak preview thanks to the official WWDC 2013 app. They explain a few clues that were revealed within the app, and while this is totally speculative it is an interesting video that the majority of viewers agree with. In the last two videos you’ll see one of the longest at 27 minutes that has been filmed in a bedroom, but this video creator hits the sweet spot with a few of their predictions and again this video is liked a lot more than it’s disliked. The other video is from a popular technology website, and while it is a lot shorter it highlights the most important rumors. 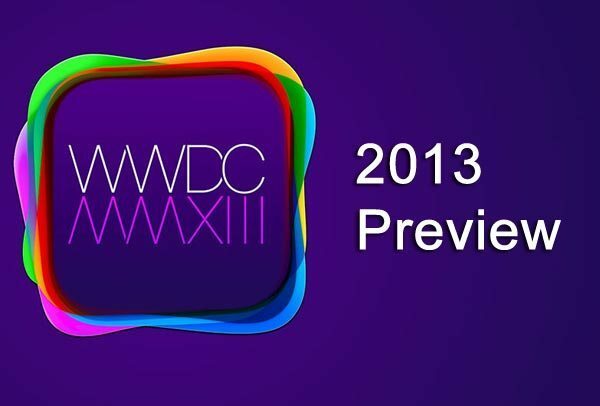 What WWDC 2013 announcement are you hoping to see on June 10?